Pit Vipers: Snakes WIth Superpowers? Of all the creatures in the whole wide world, the axolotl (AX-oh-LOT-uhl) is one of the strangest. It has gills outside of its head, around its neck, that it uses to gather oxygen from the water. It also has lungs that it sometimes uses when it goes to the surface of the water and takes gulps of air. Axolotls can live for 15 years. They are sometimes called “walking fish.” They range from about 6-15 inches long. 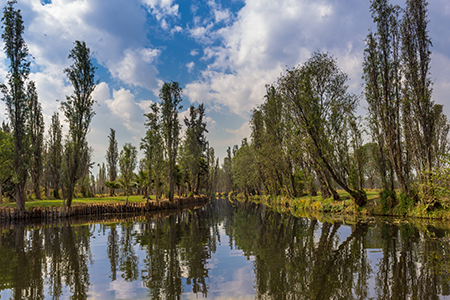 In the wild, you can find them only in one lake system, the Xochimilco Lake, in and around Mexico City. 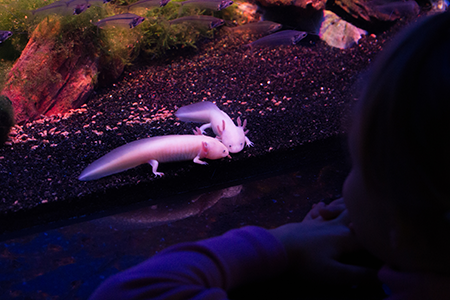 Wild axolotls are extremely rare and are endangered, but there are tens of thousands of them in captivity. Why are there so many in captivity? One of the main reasons has to do with their amazing ability to regrow parts of their bodies that are cut off or damaged. 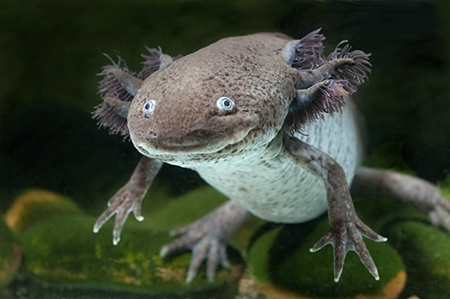 In fact, of all the animals in the world that have the ability to regenerate body parts, axolotls are among the very best. When most animals are cut or injured, their bodies repair the wound by forming scar tissue. Human bodies heal this way as well. Axolotls, however, do not form any scar tissue. Their bodies begin to regrow the same kinds of cells that were there before. 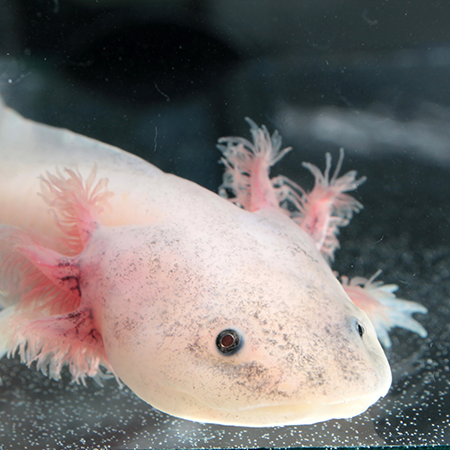 If an axolotl loses a leg or tail, it can regrow the entire organ, as good as new, in only a few months. Also, there is no scarring and no way to tell that the leg or tail was ever injured. Plus, they can regrow their limbs an endless number of times. If they lose the same leg 50 times, they can regrow it every time. Scientists are studying these salamanders to see if they can figure out how to help humans regenerate organs and limbs. So far, they have not had much success. The fact that they are studying them shows us something really neat. God designed the axolotl. He created it with the ability to regrow its limbs. Humans are trying to copy the design, but have not succeeded. That proves that God is much more intelligent than humans. Only an all-powerful God could design the wonderful axolotl.